Ok, so as I have said, the watermelons are actually pumpkins. I had to pick them today....As I was doing my evening check of the garden I looked back and one of the pumpkins were flat :0( SO I decided I should check the other two. The stems where dieing off so they were ready to be picked so I did. So I guess we will be looking for a fresh pumpkin recipe. Or maybe just what the heck I can do to get its guts out. I wanted to have jack-o-lantern Pumpkins but no such luck. Maybe next year. Will keep you posted on the pumpkin pie. 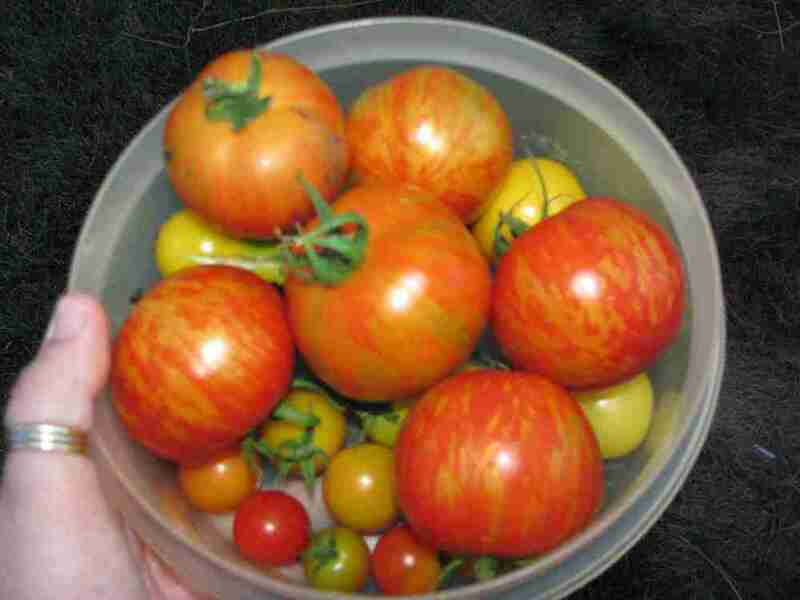 so lots of yellow and red tomeetoes and then some lighting strike tomatoes. Gourds are really growing I think the really like the heat!